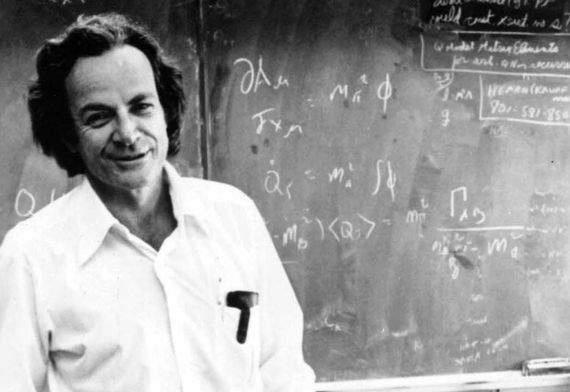 “I think I can safely say that nobody understands quantum mechanics.” It is one of the most repeated quotes of Richard Feynman (11 May 1918 – 15 February 1988), and is undoubtedly an unusual phrase coming from the mouth of a physicist. 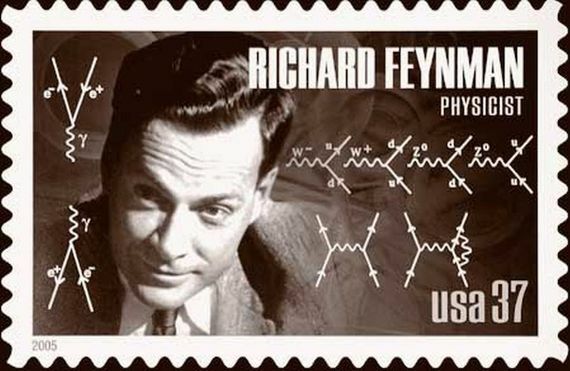 But the words make sense when you understand how Feynman’s fine mental gears worked, a man who was, in addition to one of the most renowned figures of theoretical physics of all time, one of the most popular scientists of the twentieth century. 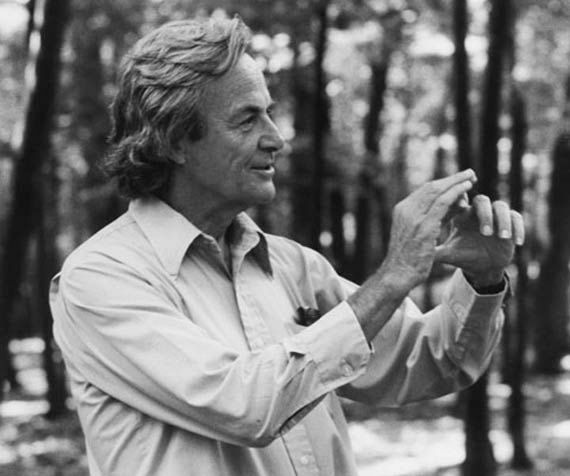 This recourse to knowledge without understanding was a constant in other statements from Feynman, such as when in 1983 he responded to a BBC interviewer who asked him about the mechanism of magnets: “I can’t explain that attraction in terms of anything else that’s familiar to you.” But maybe that viewpoint went back to his childhood, when his father took him to watch birds. Decades later, the physicist would emphasize the difference between knowing the name of a bird and knowing the bird; the first did not say anything about the animal, but about humans. All this empowered Feynman to develop his physics on terrain that is hopelessly abstruse for the average person. Show a video of Richard Feynman, and many will recognize him; ask for some of his essential contributions, and few will know how to respond, beyond his participation in the Manhattan Project during the Second World War, which developed the atomic bomb. In fact, his collaboration in the nuclear program was the most material of his contributions. When he chose a specialty as a young man, he looked for a field halfway between the abstraction of mathematics and the excessive concreteness of electrical engineering. He found it in theoretical physics, and at the same time he began to exhibit the charisma that revealed his uniqueness. During his stay at the Los Alamos laboratory for the development of the bomb, he entertained himself by opening the safes of his companions, while he was watching impotently as the life of his first wife, Arline, was snuffed out by tuberculosis. The heart-wrenching impact of that loss was compounded a few months later by the devastating sight of the product of their work, the bombings of Hiroshima and Nagasaki. Henceforth, Feynman would devote his mental machinery to the complex matters that would lead him to fame and the Nobel Prize in 1965, first at Cornell University and then at Caltech. He went from the superfluidity of liquid helium to his most valuable contribution, quantum electrodynamics —”the theory of all interaction between light and matter”, notes Gleick—, in which quantum mechanics and special relativity coexist. Even decades after the development of quantum physics, he was able to propose a new interpretation, the path integral formulation, which considered all possible trajectories of a particle between two points. However, despite that nod to the intuitive understanding of physics, Feynman never gave up on pure knowledge devoid of metaphors. As his daughter Michelle recalled, in 1984 he wrote to his Cornell colleague, David Mermin: “All my mature life I have been trying to distil the strangeness of quantum mechanics into simpler and simpler circumstances. I have given many lectures of ever increasing simplicity and purity.” And it was this unusual approach, along with his irresistible personal appeal, that led him to become one of the most recognized science popularizers of the twentieth century, thanks to books like his famous Surely You’re Joking, Mr. Feynman! (W. W. Norton, 1985). The “curious character” referred to in the subtitle was the brilliant theoretical physicist who played the bongos at night for a Caribbean ballet in San Francisco, a skill learned during a sabbatical year in Brazil. At the same time, his irresistible personality and his lecturing work was joined by a surge in popularity due to his participation in the Rogers Commission, which in 1986 investigated the disaster of the space shuttle Challenger. Many were astonished when the physicist dipped a fragment of an O-ring like the ones used in the ship’s rocket boosters into a glass of ice water, showing that the rubber had become brittle due to the unusually cold temperatures at launch. Feynman bore his peculiar genius, which alternated between solemn and jocular, until his final battle against cancer: “This dying is boring,” were his supposed last words. He died without being able to travel to Tannu Tuvá, a remote republic of the USSR that the physicist and his friend Ralph Leighton had set out to visit; what had begun as a joke had turned into a mission. This final act of mischievousness had one last twist when the letter arrived with their approved travel visas, dated four days after his death.